Ok, so not exactly my usual blog fodder. Last Bank Holiday Monday we went into Cardiff and I treated myself to some replacement makeup. I'm a girl of tradition. I popped into John Lewis to for replacements. I was surprised by the uncomfortable feeling in my stomach to find out not only have they changed the packaging (I expect this given how often I wear make up) but that they'd completed changed it. But it got me to thinking, are you meant to throw make up out after the prescribed time on the packaging? Do people use make up until its depleted? Or is that just me? And if you don't use it till its depleted, do you have a make drawer full of half used, past their 'use by' date products. This is what got me upset. And yes, please excuse the state of my existing stock. 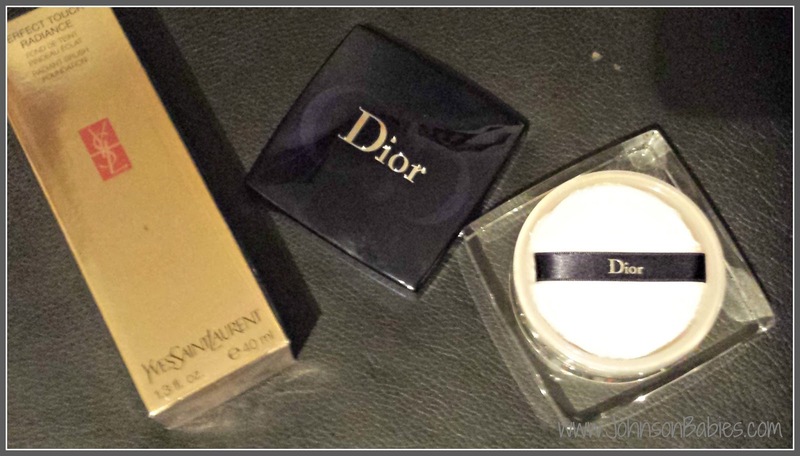 I love Dior loose powder. I've probably been using it for over 15 years. Although in that time I'm probably on my fourth purchase. And there's been lots of different packaging in that time. 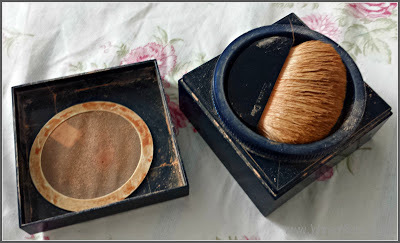 I love loose powder because it has the minimal approach to make up. In my experience, pressed powder remains really evident on your skin. (I maybe wrong, it's the way I use it. But I found loose powder and I like it). But they've only gone and changed the applicator, from a lovely applicator brush that fits within the packaging, to one of those powder puff things, which usually results in too much being applied. I wonder if that's the motivation. I've been so upset, in my head I'm even thinking about putting the powder from my new purchase into the casing of my existing loose powder. So, I've found one area of my life where I don't cope well with change. But I got to thinking, when was the last time I bought loose powder. And I think, since the wedding, I've bought an eye liner. The wedding was May 2010. I suspect all my make up has expired. But, in fairness, I think this makes a great recommendation, if I carry on using it, it must be good. Admittedly, I only wear make up when I'm working away from home, or when I'm off out for the night. Since children, I don't usually wear make up for days out, and I don't wear make up when I'm working from home. So, what in my make-up bag (and how old is it?). Yves Saint Laurent Touche D'Eclat: completely sold on the fact it reduced the visibility of darkness under the eyes. Whether it does or not, I'm not turning down any help. Yves Saint Laurent Perfect Touch Radiant Brush Foundation: I love the simplicity. I don't need to faff around with how to apply foundation. It covers well and absorbs as it needs. Yves Saint Laurent Flash Radiance Skincare Brush: I read a *few* years ago that this was the best skincare support for over 30's. I'm happy to accept a recommendation. Again, happy with all the support I can get. Primer: never used before the wedding, now a must-have, eye shadow and eye liner applies and stays put so much longer now. 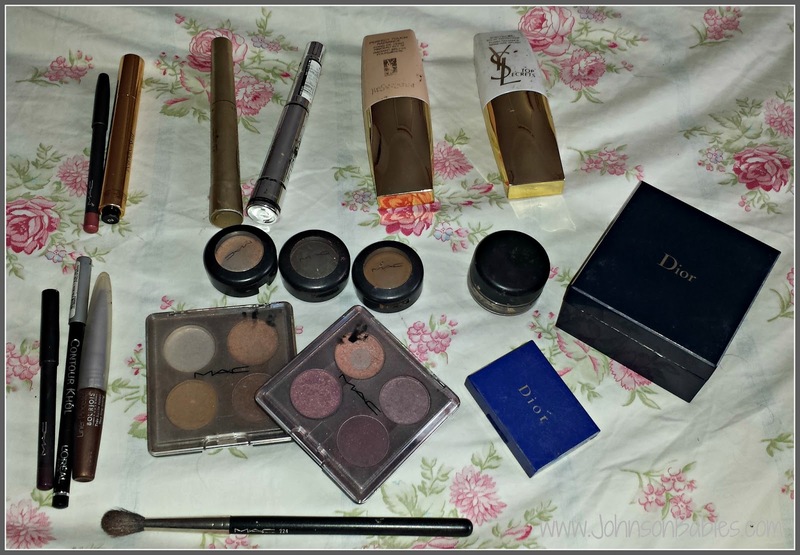 Shimmer brown eye shadows- for a night out. Shimmer purpley eye shadows- for a night out. Eye pencil- I love the purpley colour (Prunella), and how easily it applies. Definitely a repeat buy. I've also got some Dior matt brown eye shadow. I suspect this is near the 12 year age bracket. I think I found it when we moved house. Eye liners- I'm happy between kohl pencils and liquid liners. I have lots. I used to have a range of Urban Decay liquid liners to co-ordinate with my clothes. Now I stick with brown and black, and the aforementioned, beloved Prunella. Mascara- one of the aforementioned eyeliners came free with a purchase of two mascaras. I've dated it. I was 11 weeks pregnant with my first child. It was one of those aeroplane deals. We were on our way home from Egypt. Which means they're probably coming up to five years old. (Bows my head in shame). I love them. They're the L'Oreal Telescopic ones. One for day time and one for evenings. Lip pencil- for the wedding I had a lip pencil, lipstick and lip gloss. The lip pencil stays in the make up bag, dependent on occasion depends on the lipstick and/ or lip gloss. I've realised I need to get out more. So I can replace my make up more often. But also, to discover new make up. I've never thought myself resistant to change. But I think I've found my achilles heel.